There are companies who claim to give you best speed but then once you buy it you realize that there is something wrong with the speed. Now you can actually check the speed of the net and get a proof whether the 3G is really working at a 3G speed or it’s the 2G. 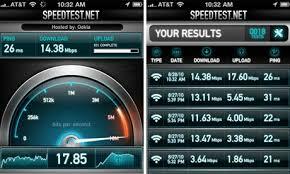 You can download these apps and check internet speed test anytime anywhere. 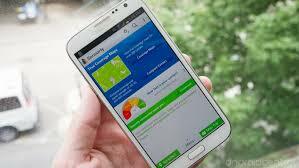 This application will give you a lot more that just speed test. The app has a unique feature; it allows you to plot your signal strength on a map. This shows how the other carriers are proceeding in terms of Internet speed, i.e. AT&T, Verizon, and T-Mobile. FCC stands for Federal Communications Commission, yes it an application from government to give you some pretty good features. It is an ad free application that was launched just a year ago and has made a good impact among people by its speed test and limitation on data consumption feature. 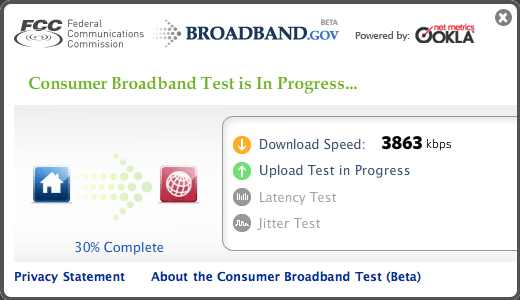 It is a pretty much straightforward application that gives you accurate speed test. You can check your download and browsing speed. 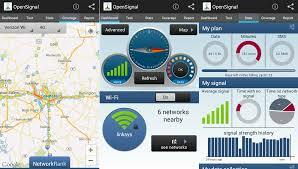 Opensignal app shows you coverage and maps for various carriers, as well as permiting you to do speed tests in the app. Also it has a, Signal compass points which will show you the direction from where strong signal is coming and accordingly you can move at that side. Whether its wifi, 4G or 3G, you can check the speed of everything. Internet Speed Test is a powerful, one step ahead tool which helps you to measure Internet connection speed on Android. The application gives you features like, tests download speed (downlink), tests upload speed (uplink), measurement of data transfer time delays (latency, ping), two typical data transfer units (kbps, Mbps),automatic selection of test parameters depending on the type of a connection (WiFi, 2G/3G mobile) and a lot more. It’s an decent application that allows you to Internet connection speed(including 2G/3G/4G/WIFI). It even shows your downloading speed during testing speed. The app shows you how many competitors your speed defeated in 1000 current tests. You can Test your Download & Upload Speed and Ping on 3G, 4G and LTE and WiFi Hotspots on this applictaion. It gives you One-tap testing in less than 20 seconds. You can even track your past 3G, 4G, and WiFi speedtests in your personal test history. The app isn’t that popular but gives exactly what you need.It gives you one-click speed test of download, upload , history of all speed tests reserve to your device, Simple sharing of results, compatible with a wide array of Android devices. You can test your internet speed with SpeedAnalysis Speed Test. The app also allows you to Set default units of Kb/s and Mb/s for the test and you can even set download and upload test length. Apart from this you can set the number of connections used when running downloads and upload tests. Store previous results and sort them by 3G and Wireless. This isn’t the best looking speed test app out there. But it does a good job. 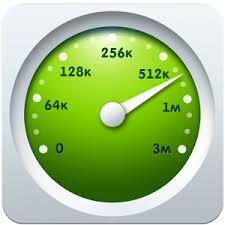 It will show you ping, download speed, upload speed, and also keep track of all of your internet speed tests. So you can see what your quickest was. One of the most popular internet speed test has been Speakeasy.net, which began examine 56K and broadband connections in the 1990s. Today, the site just redirects to MegaPath Speed Test, which provides a close function, but MegaPath still keeps the famous and much-cooler-sounding Speakeasy brand around. Do bots spam your site? What plugin or plugins do you use to prevent them? me some pointers on how to resolve them. mSpy APK Review | How to Spy Mobile and Monitor Every Activity Without User Knowing.